Current and Active Coaches and Instructors: Those with contact information showing are professionally current and active and have opted to have their contact information displayed. 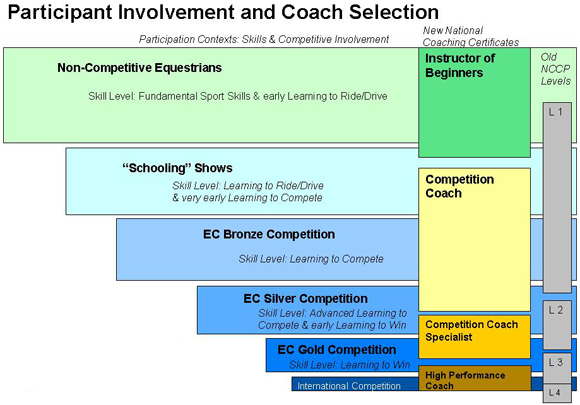 There is currently an overlap between the old Equine Canada coaching certifications which designated Levels 1, 2 and 3, and the new program with the Instructor of Beginners and Competition Coach streams. Coaches will be listed according to the latest certificate obtained. Inactive/Not EC Certified: Certification is an important lifetime achievement. All other EC certified coaches are honoured in the list, but do not have contact information displayed. If a coach or instructor is not listed, they have not been certified by Equine Canada. Select a Coach or Instructor at the level appropriate to your needs. HCBC takes pride in all of our coaches. We are not able to recommend one coach over another to individuals seeking instruction/coaching. 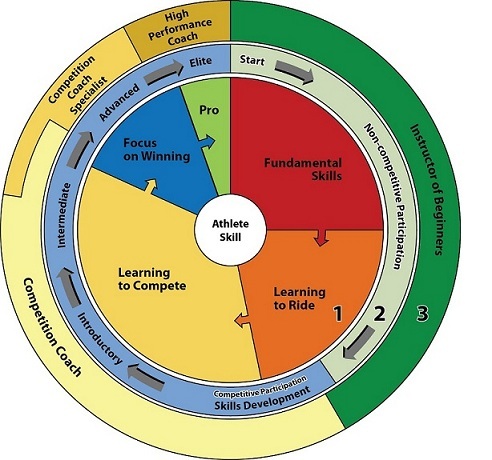 We can however, provide educational resources to individuals on how to select the right level of coach. If you do not see your coach's name on this list, please have them get in touch with the HCBC directly. 2. Safety and First Aid - Trained in procedures, coaches hold a valid First Aid certificate which must be kept up to date for the coach to maintain a current status. 3. Theory - Certified Coaches know "how" to teach/coach. Coaches support all aspects of the sport, not just the technical skill. Successful completion of the National Coaching Certification Program (NCCP) is a requirement at each level as well as the new Equine Canada "Learn to Teach" Course. 4. Knowledge and Technical Competence - Coach candidates are assessed by qualified personnel. Candidates are required to show their technical ability as well as having theoretical knowledge. 5. Consistency and Upgrading - Through a process of formal study, mentorship and assessment, coaches are taught and tested on consistent skills. Coaches must upgrade their knowledge to stay certified therefore keeping skills fresh and current. 6. Stable Management - Coaches have learned and have been tested on more than just technical skills, they are capable of teaching every aspect of horsecare. 7. Commitment - Becoming certified requires significant time and financial commitment on the part of the instructor/coach. 8. Sport Specific - Coaches are evaluated and certified in the area of their expertise. 9. Resources - Certified coaches have all the resources at EC and the HCBC available to them to upgrade, educate and learn. 10. Learn to Ride - Only EC Certified coaches can examine the EC Rider Development Program Levels. 11. Conformance - with growing public expectation of certification in all amateur sports.